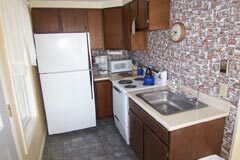 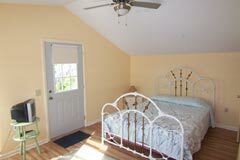 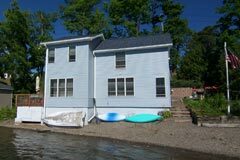 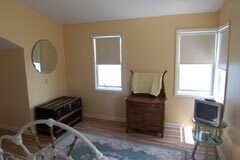 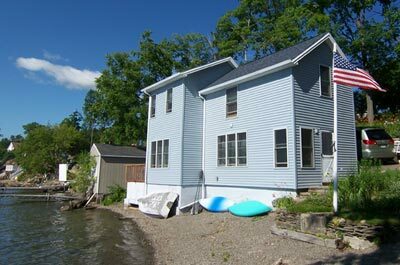 The recently remodeled (2007) Bungalow sleeps 2-4, and has a loft with a large bedroom (queen size bed), bathroom, and an eat-in kitchen. 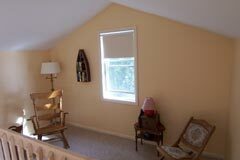 The loft also includes a sitting/reading area, and a separate TV with cable in the sleeping area. 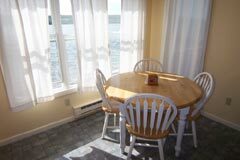 The living room has a full-size futon and has a TV with digital cable and VCR player. 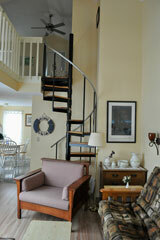 A spiral staircase leads from the living room to the loft bedroom. 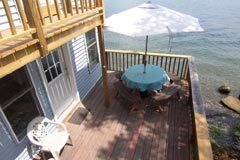 There is also a large private deck with picnic table off the kitchen.